I just have a feeling to talk about friends this week. I’m an only child. So I don’t have any birth or adopted siblings to be close to. Which means my friends are special and important to me. I’m reading the book “Facing Your Giants” by Max Lucado. The chapter I’m on now is talking about facing the fear that comes from people who hurt us. Israel asked for a king, so God told Samuel, the prophet, to anoint Saul the king. Later, because Saul disobeyed God, God told Samuel, the prophet, to go anoint a new king. God said “Go to the house of Jessie” (David’s Dad) and He would tell him which son was to be king. David was the youngest of 7 sons. He was just a little shepherd teenager. But God saw his heart and that’s who God wanted. Samuel anointed him like he was told to. After this, David killed the giant Goliath. I think not long after that is when Saul started being jealous of David and his abilities. Saul’s son was Jonathan. And for some reason, God made David and Jonathan best friends. Like brothers even! Remember, Jonathan is Saul’s son. The king’s son. He should be taking over the throne when his dad dies. They know that David has been anointed… which is why Saul wigged out and tried to kill David many times for a long period of time. But Jonathan was like a brother to David. He didn’t care. That’s what friends are for. To do life with each other. They rejoice when times are good and cry with you when times are bad. One of the best things a friend can do is pray for you! I can tell you right now, I’m very thankful for my friends. 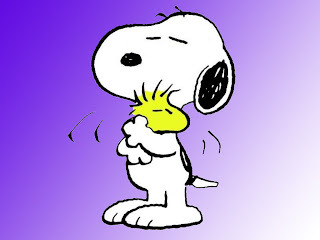 Snoopy & Woodstock have been friends forever. They are always with each other through things. 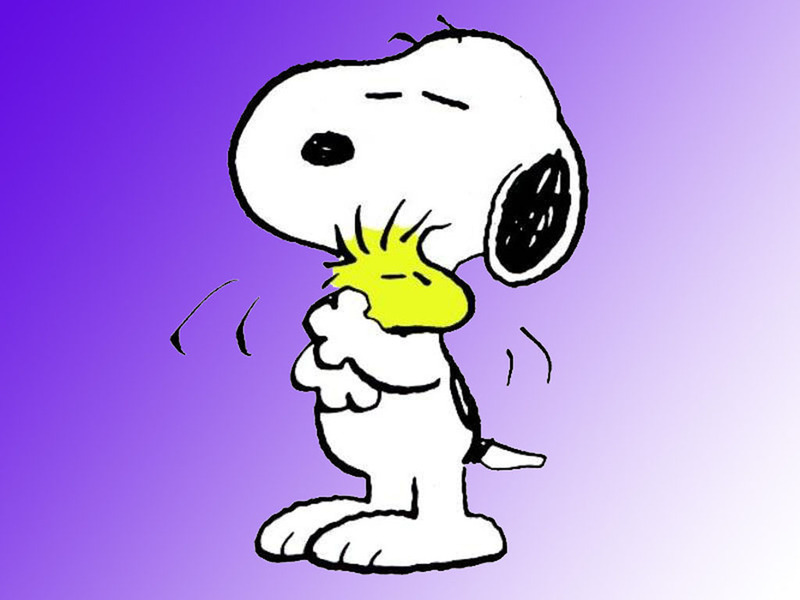 If you are able, hug a friend today and tell them thanks for being in your life!